One whose heart is aflame with love is a wondrous nightingale that opens its beak to chew roses and swallow thorns. The roses taste sweet in its beak but the thorns are excruciating its chest. For the clouds have painted it in the sky and the foam has sculpted it in water. It has been written by The Invisible Hand. Now you realize that love is a disease without remedy, but you also need to realize that your beloved is a treasure without end. To refute this is to deny the glare of the sun in a bright day. Thus, seek love even if it breaks your heart and aches your soul. And a drop drunk wholeheartedly brings you closer to eternity. Congratulations on being featured! I was thinking as I was reading your blog today how diverse all your topics are. It is amazing how many subjects you have insight on,and knowledge of. Your words have left me speechless! Such a gift you are, dear Subhan. Eu farei uma pequena pausa no blog WP, mas eu voltarei brevemente. meus estudos recomeçarão. É apenas um curto período de tempo, ok? você pode me enviar por email? Eu desejo a você uma boa noite e belos sonhos. Até breve, abraços do meu coração. meu trabalho escrito, eu devo abordar também as questões políticas e econômicas que estão afetando diretamente a população nativa. Obrigada por seu comentário e por mandar-me os cartões por email. I’m impressed with your correct sentences in my language!! I see that you know the syntax of the Portuguese. eu sei que você não fala Português e eu também não falo Inglês. Eu sei também que você usou o Google, mas o tradutor não faz boas traduções e eu vejo que suas frases em Português estão muito mais bem elaboradas do que o Google é capaz de fazer. Então eu conclui que você tem uma habilidade especial para perceber a estrutura sintática do meu idioma. O Google não poderia escrever tão bem como você!! complicado para você. Eu posso ajudá-lo sim, você pode contar comigo. Oh my….you do have some ravishing words that captivate the heart and soul…..always love your work, my friend…..
Hi Subhan I liked your poem.Poetry is also my favourite. Right now I am translating some of Tagore’s poems for my friends. Congratulations! These a beautiful words that truly move the romantic soul. Love to you, too, Subhan. What a great honor for you, Subhan. I am so happy for your success. This poem is, like so much of your work, beautiful and true! Thank you for another delightful post. I was also intrigued by some of the comments about WordPress. I haven’t really notice a whole bunch of changes. The last one being that sometimes if another WordPress account comments on a wordpress site they get a notification. I am not at all computer savvy – so I am baffled by the rest of the comments. As I post every day and I always see what I post as soon as I hit that little ‘publish (on your own site) button. I don’t mess with ‘Freshly Pressed’ though I think everyone gets a free one of those on their 200th post… but don’t quote me on that. I also don’t have oodles of followers, just mostly friends, other writers who frequent some of the same writing prompts that I do. I’m not to worried about a following. I do know that between my WordPress blog and Blogspot blog that WordPress is the worst concerning spam. But with that being said – the spam does get caught so all one really has to do is delete the spam every once in a while. Good luck to all writers on publishing, whether it is on a hard copy or featured on another blog, blog ‘zine or whatever else promotes your writing. That we continue to enjoy each others writings and learn from each other is what I am all about. Cheers. It is well deserved Subhan. I cannot say it enough that for one so young your heart is already full of wisdom of many more years you have yet to journey through. Beautifully written and said. Congratulations! You deserve this publication of your words! Congratulations! so well deserved. Your poetry is filled with beauty that seems to rise up from your heart. Congratulations on being published, Subhan!! That’s awesome. It’s a magical poem. Rilke once said that love is never easy for two souls,i really like your images of nightingale and love disease. 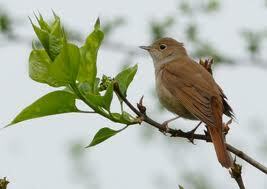 You remind me of Khalil Gibran at times like this…I love nightingales, mockingbirds, magpies. They are such brave and inspiring little creatures. Thanks for your poems. Congratulations on having your beautiful poem featured in a Pakistani-based website maintained by SAJ Shiraz. Second time I have tried to post this. Have had all sorts of tekkie problems this morning!! Hope the link works. Only taken me two hours to work it out!! I have just nominated your blog for the Super Sweet Blogging Award. I would be honoured if you would accept the nomination. Only took me two hours to work out how to leave the link!! Beautiful thoughts – poignant too! Congrats Subhan! The last stanza is very beautiful. A magical poem and is it any wonder that you are honored! Congratulations with love! profound, Subhan, both your writing and images. I have never heard of a nightingale swallowing one or more rose thorns, which is/are likely to kill such a diminutive bird even if the act is possible. Is writing love stories or romance novels one of your main aims or fortes? Congratulation to you on being featured for the first time in a Pakistani-based website maintained by Dr SAJ Shiraz! Soon you would have a great deal of Indian and Pakistani followers, not to mention book deals, movie adaptations and screenplays in the vast and diverse arenas at Bollywood! Thanks so much! I had no idea! But what I’m wondering about is that each time I publish, I used to be able to see my post appear in the general WordPress Topics based on the tags – Nature, Life, Photos etc. But these days I don’t see it anymore. Is that also part of the new policy? Or is it something I need to adjust or refresh? Sorry, I’m not the most techie savvy one! Thanks so much again for your time Subhan. Appreciate this. absolutely it is worth! and they can turn into a great one if compiled and published. What a beautiful poem. It’s true love is bitter-sweet. Some find the bitterness to hard to bear and so avoid it, others are prepared to pay the price because of the wonder it brings into their lives. A lovely image of the nightingale and an evocative metaphor for this most powerful of emotions. Congratulations,Your posts are wonderful and amazing.I always like reading them.All the best Subhan. Congratulations my brother! I loved reading your words tonight…they lifted my mind to a different wonderful place. May God blessings continue to embrace you! Congrats – That is wonderful Subhan! May you too have a wonderful weekend full of many more surprises & blessings. Truly beautiful words and exciting metaphors too! The thougth of a nightingale opening up it’s beak to swallow both roses and thorns, beautifuly relates to love. I really settled to enjoy this piece and I’m glad I did. Thanks for the mention. Happy blogging.